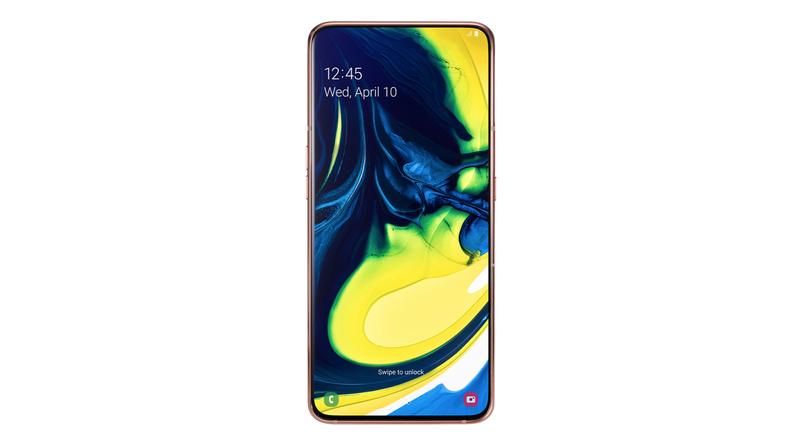 The Samsung Galaxy A80 features a modern and unique looking design. It has a ‘3D Glass’ design on the back giving it an attractive look and feel. The front of the smartphone is dominated by a ‘New Infinity’ 6.7-inch Super AMOLED display with a resolution of 2400 x 1080 px. 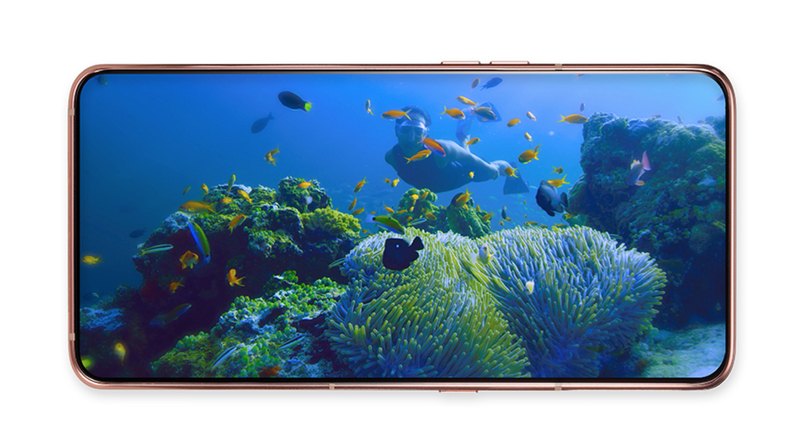 It has minimum bezels around the display with no obstructions like a notch or a hole-punch in view. Like the previously announced Galaxy A50, the device has an in-display fingerprint sensor for securely unlocking the handset. The Galaxy A80 runs on the newly announced 8nm Snapdragon 730G SoC. The chipset has an Octa-core CPU and the Adreno 618 GPU. In terms of optics, the smartphone, as mentioned above has an innovative sliding, rotating triple camera setup. 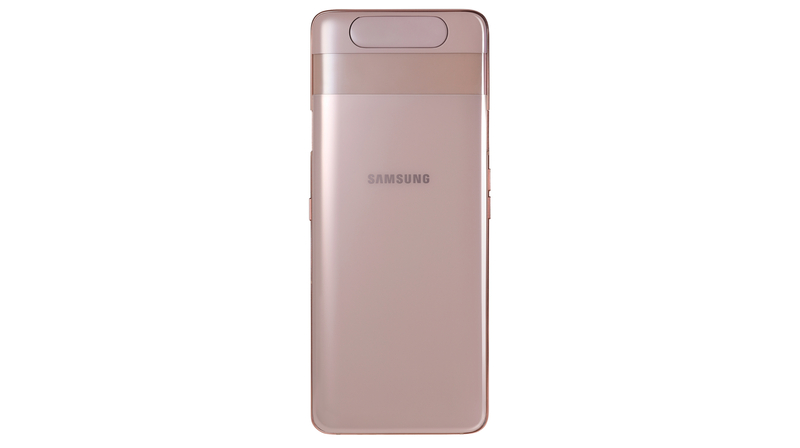 This offers the device the capability of capturing images and videos from the front as well as the rear of the handset. The setup consists of an f/2.0 aperture equipped 48MP sensor; combined with an f/2.2 aperture equipped 8MP sensor and a 3D Time of Flight (ToF) sensor for capturing depth information. 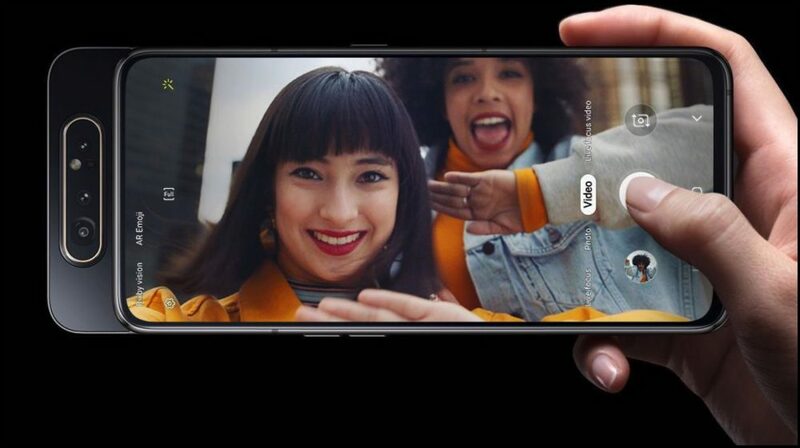 Talking about memory and storage, the Galaxy A80 has 8GB of RAM and 128GB of internal storage. The Galaxy A80 smartphone is powered by a 3700 mAh battery which supports fast charging up to 25W. 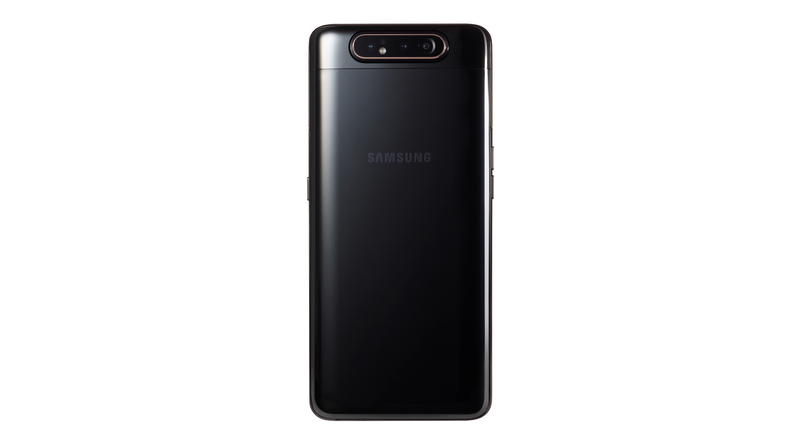 The device runs on the latest OneUI by Samsung on top of the current Android 9 Pie. It is available in three colour variants, namely Phantom Black, Angel Gold and Ghost White. While the Galaxy A80 will be available for sale globally starting May 28, it may be launched sooner in India, according to our sources. It is also known that Samsung will price the smartphone under Rs. 40,000. The company may initially sell the device in limited quantities. This is because it is sceptical of the reception a smartphone with mechanical parts will receive. Noteworthy, similar handsets from Oppo and Vivo were not highly successful because of the presence of moving parts.